SAAC is excited to welcome Kevin Haynie, of Crystal Bridges Museum of American Art in Bentonville, Arkansas, as the juror for the 2018 Annual Juried Art Competition. Kevin Haynie is an Artist and Preparator at Crystal Bridges Museum of American Art who leads gallery installations, cares for and maintains the permanent collection, and works to broaden the engagement of art within the community. He recently implemented Crystal Bridges’ first ever Community Installation using artist Nari Ward’s “We the People”. Kevin planned the installation to include everyone from museum visitors, students of all ages, and staff. Before becoming a Preparator, Kevin worked as an Art Educator for various Arkansas Public School Districts, handled art for 21c Museum Hotel, and Fort Smith Regional Art Museum. Kevin was a member of the Fayetteville Underground art collective and has shown his work all over Arkansas. Recently, he won an international award for short film at Filmapalooza in Paris, France. His films have also shown in the Fayetteville Film Fest. The exhibition is competitive and open to artists 18 years of age or older living in the United States, no international addresses accepted. All 2-D and 3-D fine arts media accepted, including photography and computer generated work. Pieces must be original and completed in the last five years. 2-D works must be completely ready for gallery display – a clean, neat, professional presentation with a secure hanging method. If subject to damage, works should be framed under plexi or glass. Work not ready to hang may be disqualified. 3-D works and Multi Media Presentations must be display ready. Work weighing over 50 pounds, presenting complex installation problems or requiring electrical power should be approved by the gallery manager prior to paying the entry fee. Work unsuitable for installation in the gallery may be disqualified. The juror and gallery manager have final authority to define what constitutes an acceptable entry. Works may be rated unacceptable if considered unsafe or appear to be significantly different from the image submitted to the juror. Artwork completed under classroom supervision and/or reproduced from work by other artists or published material is not accepted. DEADLINE: June 13, 2018. Entries must be submitted online or delivered to the South Arkansas Arts Center by June 13, 2018. ENTRY & IMAGE SUBMISSION GUIDELINES: Artists may submit any number of entries by digital image. A second image of the work to show a detail or alternative view is allowed. If video is incorporated in a multi media presentation, do not send a video file but provide a link to where it can be viewed on the web. 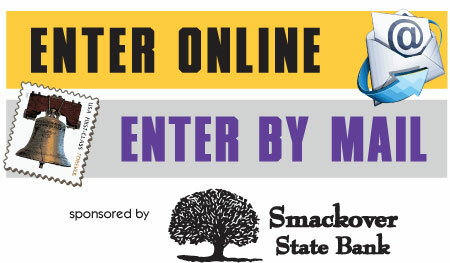 ONLINE ENTRY: Upload images with the online entry form. Click the green button above and follow the instructions. MAIL-IN ENTRY: Mail entry form, entry fee and digital images to SAAC Juried Competition, 110 East 5th Street, El Dorado, AR 71730. Save all images on a SD card, Memory Stick or CD labeled with the artist’s name. ENTRY FEE: All entries are $10 each. Payment can be made by PayPal, credit card, check or cash. Make checks payable to SAAC. Entry fee is non-refundable. NOTIFICATION: June 19. Juror’s notification of accepted works will be announced on June 19. A list will be posted online at www.saac-arts.org and artists will be contacted by email. DELIVERY/SHIPPING: July 13. Deliver accepted work to SAAC by July 13. Artists are responsible for delivery and pick up of all works. Return shipping instructions must be included when work is received. Work can be picked up in person by appointment Saturday, Aug. 11 or Monday, Aug. 13. If using a shipping company, please make arrangements for pick up of your work on/after Aug. 13. Work not picked up will be charged a storage fee of $10.00 per day, and after 30 days the unclaimed work will become the property of SAAC. EXHIBITION: July 17 – August 10, 2018. All accepted works will be on exhibit in the SAAC Galleries July 17 – August 10, 2018. All work must remain for the duration of the exhibit. SALES: A commission of 35% will be charged on all sales. Work that is not for sale must be clearly marked on the entry form as NFS. LIABILITY: Artists are responsible for the transportation of accepted entries and expected to carry their own insurance if shipping the artwork. South Arkansas Arts Center is not responsible for damages during transport. Every precaution will be taken during packing and unpacking for the safety of each entry, but neither SAAC, its board, staff, nor volunteers will be responsible for loss or damage caused during transport. If artwork is accepted in the exhibit, artists agree to allow the artwork to be reproduced for promotional purposes. The receipt of an entry in the juried exhibition will constitute agreement by the artist with all conditions set forth in the prospectus.